Have I ever mentioned how much I love cake? Admittedly the best bit is eating the cakes but over the last few years I've been slowly improving on my cake creating skills, usually with the help of my more creative and patient husband but we are getting there. I am always so in awe of professional cake makers who these days seem to create such amazing masterpieces and until now wouldn't have thought of even attempting to emulate them. Last year, 'Ladies That Cake' created a masterpiece - a Creme Egg Cake. This year they are sharing the secret! 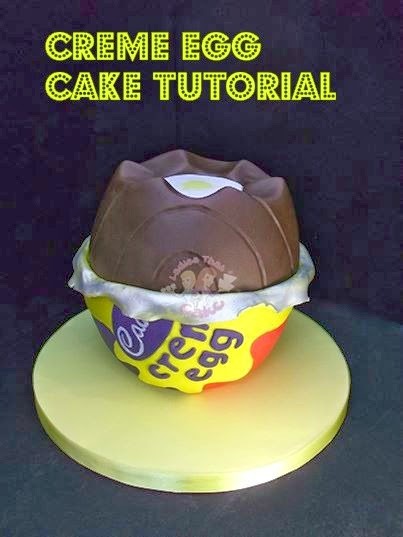 For £10 (about €12) you can now purchase the 'Creme Egg Cake' tutorial, and make your own in time for Easter. Due to a major lack of time setting up and promoting my new website and being so close to my Slimming World target, unfortunately I've yet to try to make my own Creme Egg cake but it's on my wish list! I just thought it was so cool that I had to share it with you! March 25th is Greek Independence day - and is celebrated in Cyprus as well as Greece. It is a bank holiday, shops and schools are closed and parades are held all over the country. 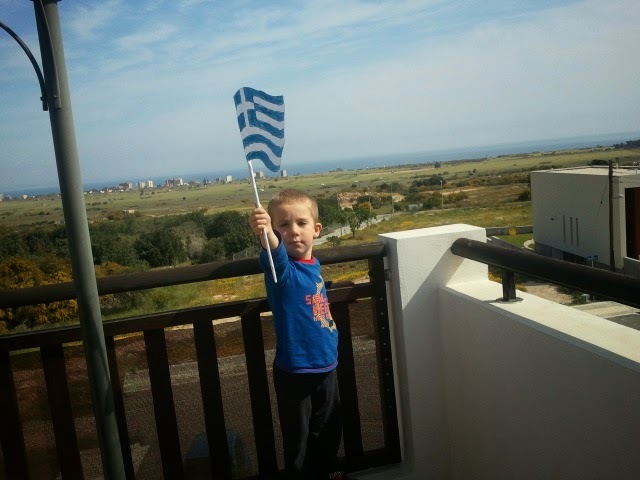 Leo and his classmates took part in a school play to commemorate the event and came home proudly waving their Greek flags. As usual on these national holidays we were 'treated' to the sound of one of the parades which sets off from outside our apartments, we were lucky to have to unusually late start of 7.45am though this time! Leo and Louka enjoyed it though, watching over the balcony and then marching round themselves! It was a lovely day and summer must be on its way as the flip flops and 3/4 length trousers made their first appearance this year when we all headed down to the beach path for a walk later in the morning. I've been a big fan of Rosetta Stone for many years now, ever since I tried the free demo not long after deciding to move to Cyprus. Designed to enable you to learn 'on the go' away from your computer, your progress automatically syncs to your computer. 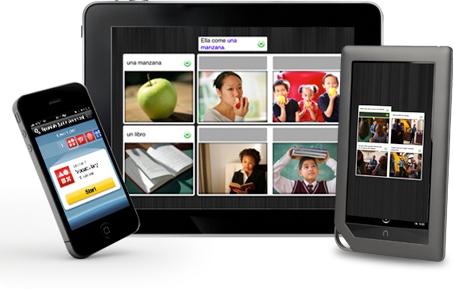 I used the Rosetta Stone TOTALe Course app on my android tablet and it completely renewed my enthusiam for learning the language after I'd long got out of the habit of using the program on my laptop. It was a much more enjoyable pastime, curled up on the sofa or in bed made it seem easier to dip in and out off meaning that I found it less of a 'chore' to do. It's been a very long time since I joined in with Kate's Listography but I couldn't resist at the mention of books. I couldn't even begin to tell you how many books I've read and I have so many favourites but these are these ones which are the most memorable to me. After reading Little House on the Praire at school, and then finding 'These Happy Golden Years at the library I was totally hooked on the story of Laura and her family. Eventually I owned the whole set and read and re-read them for many years. I can't remember how old I was when I got rid of them but I dearly wish I'd kept them all now. Once upon a time, British food had a pretty poor reputation and the thought of comparing it to the cuisine across the Channel would have brought howls of laughter. However, with the increasing popularity of celebrity chefs and a newfound appreciation for the great quality home grown produce available across the country, foodies have discovered a real love of British cuisine and nowhere more so than Devon. With its rolling hills, rich coastline and agricultural history, it’s no wonder that the county produces some of the best fruit, veg, meat and fish in the country, and with its proud culinary tradition, they know exactly what to do with these great ingredients too. The temperate and wet climate of the county, combined with its fertile soil provides the ideal conditions for dairy farming and in turn produces some of the best dairy produce in the country. Time changes everything - eventually! Mumsnet today has a thread where they are discussing what has changed in their lifetimes, not just mobile phones, internet etc but things that might not be so obvious to younger people such as making 'mix' tapes from the radio, having to wait at home for a phone call,getting your photos developed at the chemist, three tv channels that closed down at night, and the 'amazing new indestructible music format - the CD. It was a fascinating read and I could relate to most of the list having been born in the late seventies, what got me though was the amount on the list that are not so different in 2014 in Cyprus, and how they did not seem so strange to me. 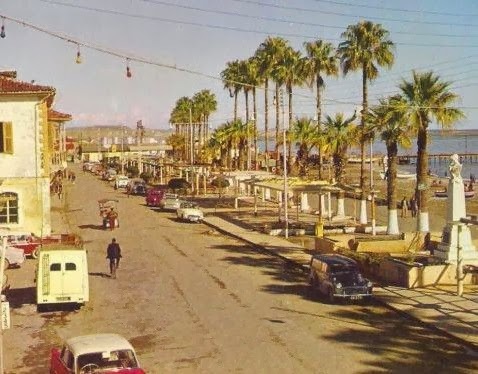 I would love to be able to travel back in time 25 years here in Cyprus, the changes in the UK have been huge but nothing like they have seen here - in some ways anyway! 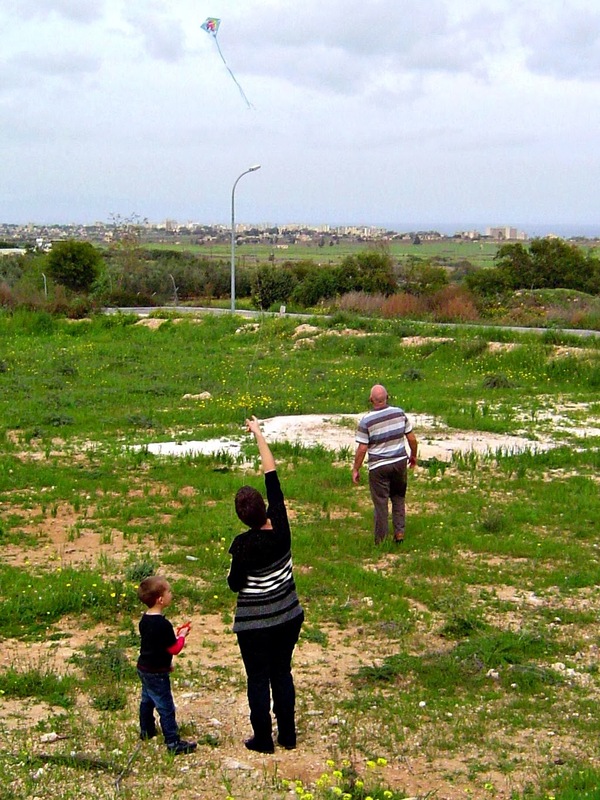 Green Monday in Cyprus is traditionally a day for family get togethers, bbq's picnics and I'm not sure why but kite flying seems to be a compulsory activity on the day too! Although I don't think I've ever seen a kite in the sky here on any other day of the year, without fail the skies are full of them every year on this day! Leo has never had a kite before and for some reason thought it would be quite difficult to fly one. I did have a kite as a child but I don't remember flying it myself, in fact I don't think we had it very long as I seem to remember my Dad got it stuck in a tree! He redeemed himself though by buying Leo his first kite and joining us in flying it. Despite a few failed attempts and several crashes to the ground I think we did very well, even handing over the line to Leo was very successful. This weekend saw the carnival come to town and for the second year running we managed to play a part in it! Last year Leo and I were just going to watch when at the last minute we realised our friends were walking with their school and joined them and he had such a fab time that I asked my friend who runs a dance school if we could join them this year. Some of Leo's friends go to classes there so we had company on the float, and the little ones looked so cute in their orange capes to make their superhero outfits, I even got to wear one too! The older students did a brilliant job dancing along behind us with their synchronized super hero routine. Leo thoroughly enjoyed the afternoon, and was so well behaved considering how long we had to wait before the parade set off - what a difference a year makes! Of course I had to be there for Leo's benefit but having a 4 year old is also a great excuse to dress as a superhero and wave at strangers from the back of a moving truck!